Just delay your purchase if you are not in urgent need. Almost all the 5/95 projects are out into the subsale market. It is a glut now. The speculators will start to feel the burden after paying interest for 6-12 mths. 5:95 is significant for bank also confident Penang property will raise or stable/ sustain. Bank will not bear the risk like what happened in US. Bubble building up in penang property ? Typically bubble only burst when u dont expect it to happen. My guess is around few more years down the road. By then maybe the property price already sky high. Example, a property worth rm500k now, few years later it appreciate to around rm800k. If the bubble burst then and adjust the value to around rm600k-rm700k, you are still gaining. Dont wait for the bubble to burst, because you never know when it is going to happen. In fact, you might not be to catch any good value property by then due to the capital appreciation over the years. Just go for it if you find the property u like and can afford for it. Even if it burst now, as long as your property is located at good location, the price will still catch up over the years. You just need to have the holding power. dnsh, well said :- "bubble only burst when you don't expect it to happen !" Seems like everybody, investors, speculators, experts etc... are all at the state of "not expecting it to happen" right now !! The only thing need to safeguard is... whether the economic crisis in US is really over or they will punge into 2nd dip (where it is also sth "nobody can expect it to happen" ) !! "You can't be wrong if you are not long" - it is exactly this mentality that can keep property prices buoyant and perhaps for quite a while. At the end of the day, fundamentals such as demand/supply and affordability must sync with house prices. For high end developments the "build it and they will come" mentality is only sustainable as long as demand from foreigners is there. Malaysia is not the only country in the world that competes for foreigner dollar and investments. For entry and mid range developments, it has to sync with affordability, the willingness to take on bigger debt load and the ability to get bank financing. There is only so much one can harp on land scarcity on Penang island. At the end of the day fundamentals cannot remain out of sync with reality forever. In fact, i sense that penang property is entering a crazy + fenzy state where I see owners of well located properties are holding up in sale and purchase transaction and don't even want to cut a single cent during negotiation ! If the buyer just hesitate for a moment, the property will be gone !! Or rather the seller will get 20k extra if he/she hesitate and open up for more offers !! Recently I just heard from a regular auction property investor that a landed property in Ayer Itam (land area = 3000 sq ft +) with old rundown building WITHOUT vacant possession could be bidded up to 1.7 millions (reserve price 900k) in auction with tonnes of bidders !! If you don't call this crazy, I don't know what it is ? I even learn that not only foreign monies (Singapore, Hong Kong, Taiwan, US, Europe, even Middle-east etc) are pouring into "goreng" penang properties, even local funds from other state such as K.L., Kedah, Perak, or mainland like butterworth, B.M. are coming ! The reason very simple, especially those rich people form Kedah, Perak, B.M. Butterworth or even ulu ulu kampung, since they can't see good returns investing in their local properties, they rather swap their monies and invest here ! It is like share market, money only chasing those investment which can give good returns (as they believe) ! I heard from developers that there are many KL people come to Penang to buy properties now. KL properties are too high because many plantation owners from Sabah, Timber taiko from Sarawak, Hong Kong and Taiwan investers flow in to buy KL properties. If this is the real case, will you think Penang properties price will go down ? dnsh, totally agreed with u.
" Just go for it if u find the property u like & can afford to buy. Just nid to have the holding power." If you are buying for long term own occupancy, why worry about the short-medium term price fluctuations, as long as you live happily in that prop, and can continue to service your mortgage until end of term. Furthermore, historical data has evidently showed that property prices always trend up over the long term. But if you are buying for investment, then you should be very careful with short-medium term price fluctutions as that affects your ROI. You do not want to be the dumbass who's stuck with a property with an over inflated price tag, of which the price is going to be stagnant for the next 5-6 years (and with super low rental yields). You could have allocated your money in other assets for much better returns. You are right. It's madness to pay RM1.7 mil for a 3000sqft landed property in air itam (by the way, you don't even have to pay that much in tanjung bunga/tokong). For own stay maybe ok, coz after 10 years you can still declare to your friends that you didnt loose money on your dumb investment..:)) But if that's bought for investment, money down the drains i'm afraid!! Go revisit (or go take a short course on) 1997 asian financial crisis. Time for some history classes! I have been following this forum since 2009 and there were uncountable time that doomsayer, pessimists and critics pour cold water into Penang properties, yet all of them fail to prove their points up to now. In fact there are some readers started to regret for listening too much negative comments too early that they drop their balls. Well, bubble of course is a potential risks if not manage properly. There are some sign of creation on pockets of bubble in non-prime area and condos in Island. But please don’t just look at Penang property from inside and on property market alone. 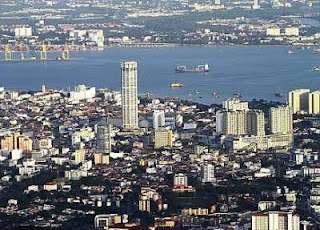 Penang is unique and we are supported by industrious people who work hard and smarts. Many ambitious people here always look for upgrade to bigger condo and landed house. Then new batch of workhouse would buy smaller one sold and the cycle continues with our strong job demands here. The spirit of making it better living for family keep us up. Don’t forget we have many outstation people who relocate here too. Then the question are the job market expanding or stagnant? Are people getting pay rise? The demand is ever so strong especially in landed properties while new supply is too limited. Existing owner also hardly put on sale. Don’t be mistaken by the website listing as the agents like to repeat and same property being advertise >10 agents. Please go around the existing housing area to check out how many you can find put on sale. Even there is the price is higher side. Please learn to look from outsider perspective, compare our self to other Asian cities. We are in the top10 Asian cities but among most affordable for living! You can also do some research on Penang economy from well known magazine. Please see this link from YAHOO, TIME magazine, THESTAR and many other international reviews on Penang. You will then realize the value of Pg properties. Benchmark and analyze it by calculator not just rumors. You can also get some research from this relatively new magazine called PENANG ECONOMIC MONTHLY, especially its April11 issue. Just RM10 worth to invest. I used to get lots of info and real published data. You will know why we are so much better and foreign investor view on us. This is really a multi-billion question concerns most of Penangites ! Long term for sure ...up! We are in Island with so many good things. For short term please choose good location. Dont choose the type of property that is over supply.